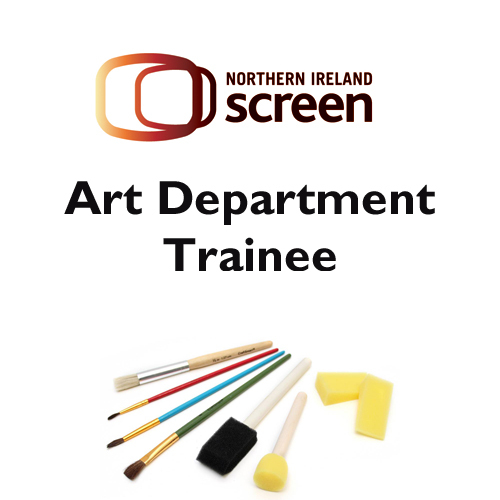 Northern Ireland Screen is seeking applications for its Craft and Technical Development Scheme. The scheme will provide a training opportunity for two people in the Art Department between August 2018 and March 2019. CRAFT AND TECHNICAL 2018 is a paid placement scheme (NMV/NLW) and the participants will gain experience on Northern Ireland Screen funded film and television projects. Previous experience is not essential however, only those people determined to have a career in the film and TV industry should apply. A willingness to learn and self-motivation are crucial to this position. Deadline for applications: 12 noon, Friday 3rd August 2018. For further information on this opportunity, including application details, please click here.